Staying on top of the cleaning is vital, especially when you have a hurricane of a toddler running wild in every single room of the house. From dirty hand prints on walls to food crumbs in your shoes they have a talent for mucking everything up. That being said I don't keep on top of the cleaning as much as I should. Our house is tidy but I really need to start some sort of cleaning schedule as I am easily distracted throughout the day. Playing with cars and reading book with your child wins over cleaning the oven any day but I think I use that excuse a little too much! This week Dettol sent over some products from their range to me to try out and I was really looking forward to seeing what products I would receive. 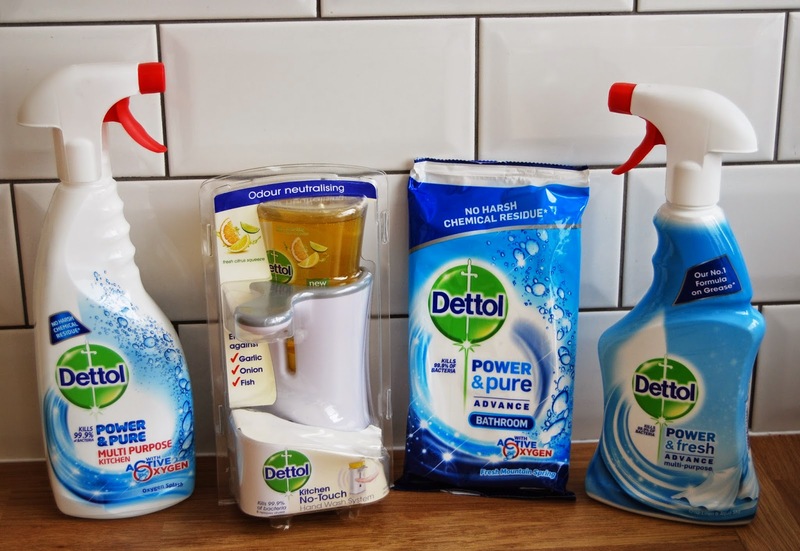 We were sent two Dettol surface cleaners, antibacterial wipes and a no touch antibacterial handwash. The first product I tried out was the antibacterial wipes. We already use these on a daily basis and always have a pack in the drawer in the kitchen. They are so easy to grab and use when there is just a little bit of light cleaning to do. Next up I took the surface cleaner up to the bathroom and thought I would give it a little try on our shower which needed a good clean. I simply sprayed on and left it for a while. When I came back I could have just rinsed it off but I prefer to scrub it just to make sure I am removing any soap scum or conditioner marks. The main thing I like about this product is how you can use this spray in the bathroom or the kitchen. This is what I always look for in a surface cleaner, it has to be a multisurface. Last but certainly not least is the no touch handwash which is now a welcomed addition to this household. I am a stickler for germs especially when it comes to cooking and cooking with meat. Ever cringe when handling raw chicken and imagining all the bacteria spreading on everything you touch, the taps, the handwash? I did but not anymore with the fantastic no touch handwash. You simply put your hand underneath and hey presto, soap! It kills 99.9% of all bacteria so really puts your mind at ease too. Would you like to win a set of these products to try out yourself? Then simply head over to my facebook page where you will find details on how to enter. Good luck! Wow, great stuff. Dettol's my number one, so good on dirty surfaces. See you on FB! 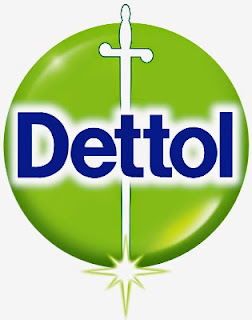 I started using Dettol products as soon as I got my baby. I never used better cleaner before, plus they are anti bacterial, which makes them even better cleaners than the rest of the products.